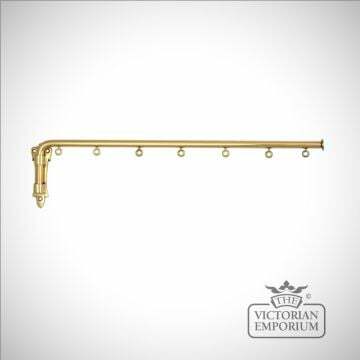 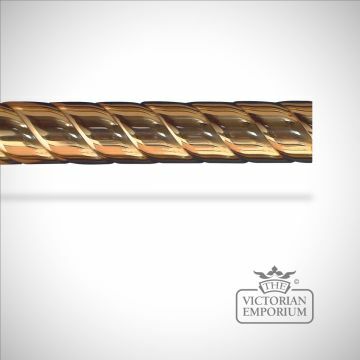 These brass curtain poles are excellent quality drawn brass tubes, that come in a plain, reeded or rope twist. They can be corded for straight windows and for bay windows. 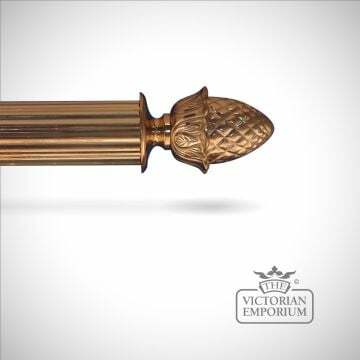 There is also a wide variety of beautiful decorative finials along with a range of brackets, rings and accessories available to match the poles. 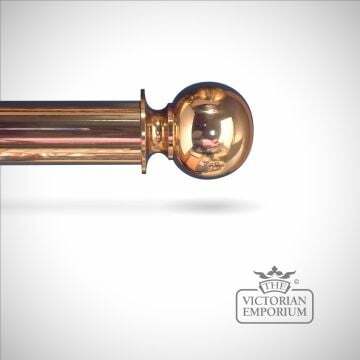 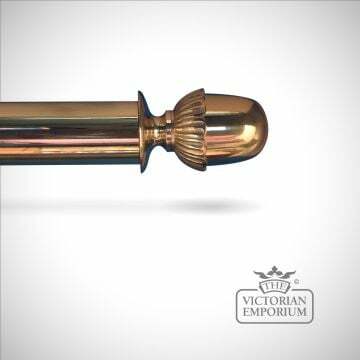 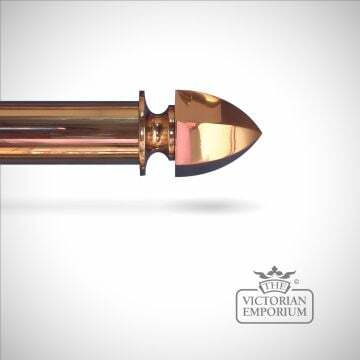 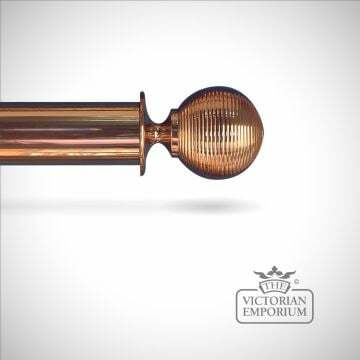 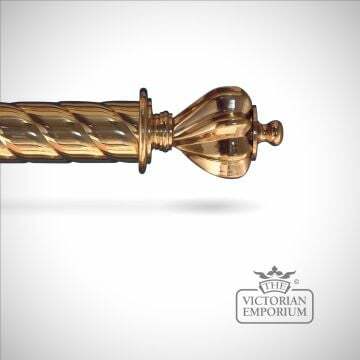 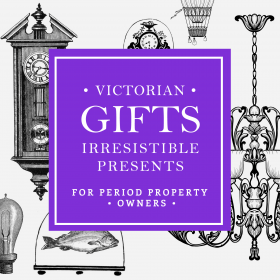 All of the solid brass poles and finials come in a choice of finishes including Brass, Antique Brass, Burnished Brass, Bronze, Polished Chrome, Satin Chrome, Gun metal, Polished Nickel and Satin Nickel. 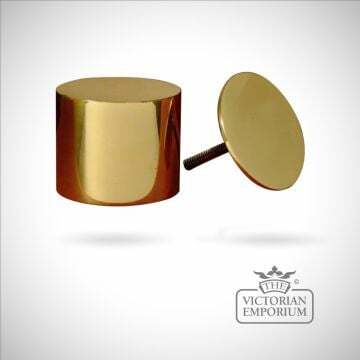 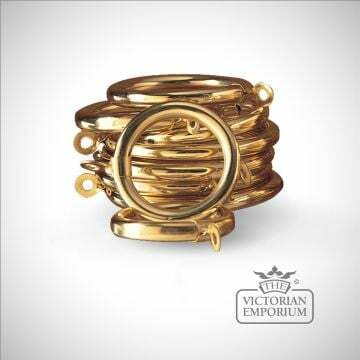 Allow a week to two weeks for delivery in the plain brass finish and up to 3 weeks for any of the other finishes. 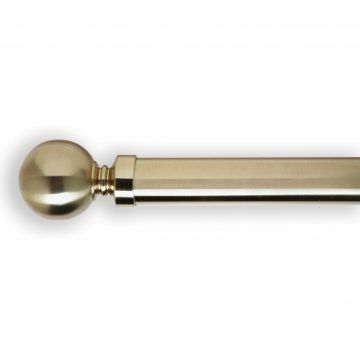 For a fast delivery, you can choose a brass coated steel pole which can normally be turned around within 3 days of order. 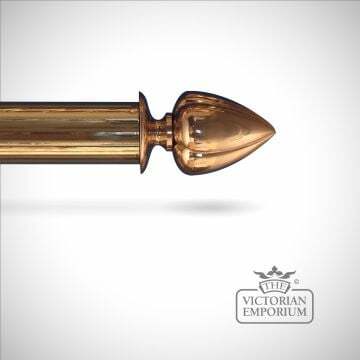 Ideally curtain poles should protrude around 2 inches either side of your window architrave with the finials adding to the additional width. 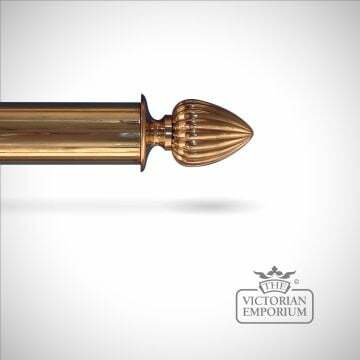 Large windows would need a pole with a diameter of 38mm and above but ideally 51mm. Smaller windows would need a pole with a smaller diameter, say 25mm. A choice of pole designs purchased separately. 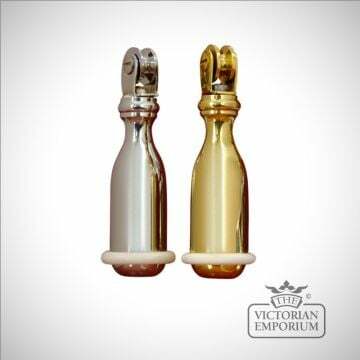 End cap pictured on left, end cap on right. 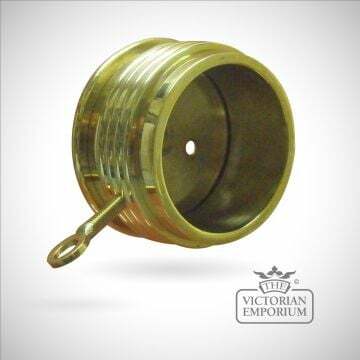 We also sell a more basic range of brass curtain poles.